Purse is a women’s wallet and it needs to be carried everywhere! This one in vermillion red colour is something one can go for on Read More..a daily basis because it is stylish and simple, all at the same time. 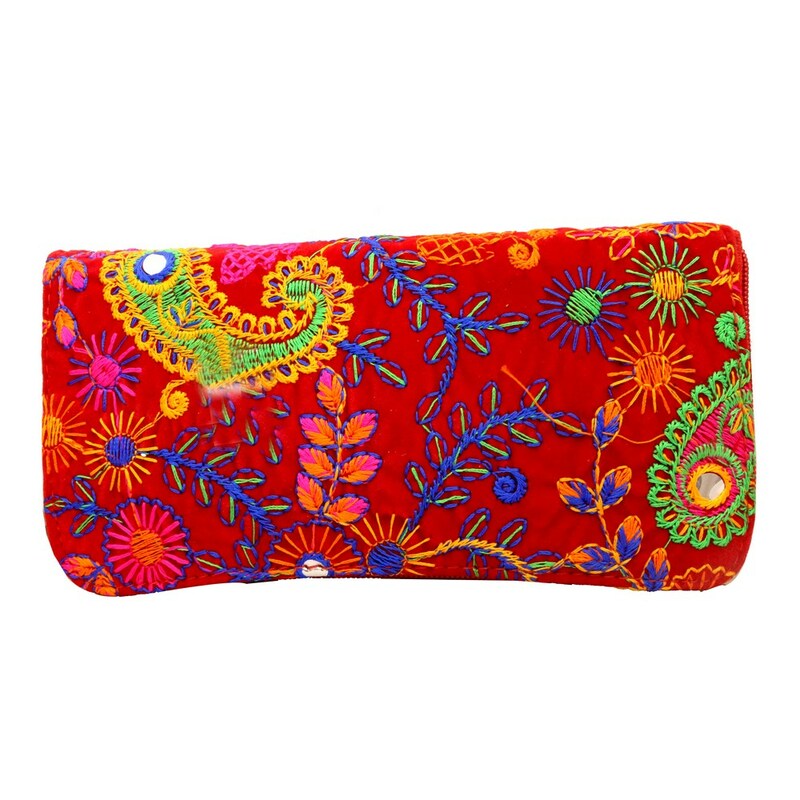 It has traditional embroidery designs in multicolor stiches with simple mirror work designs. Show Less..